When you self-manage a rental property to save money, it may be costing you more than you think! And the costs aren’t just monetary. 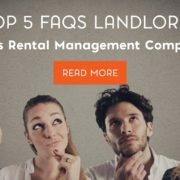 Of all the Dallas rental management companies out there, only Specialized Property Management Dallas has the right expertise to guide and help you as a landlord. 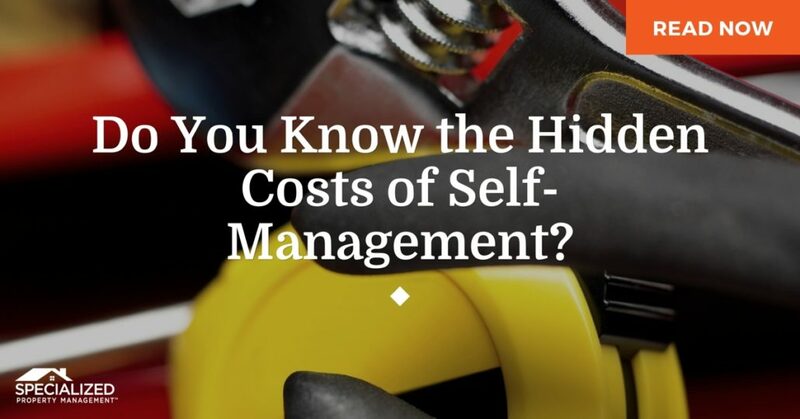 Here are some of the hidden costs of self-managing your rental home. Legal Costs. Do you know about the Fair Housing laws? How about the Americans with Disabilities Act? Managing a rental property means becoming familiar with all the laws, rules, and regulations that come along with that responsibility. Failure to abide by these laws can bring hefty legal fees and penalties. The Cost of Overlooked Maintenance. Some rental management companies might tell you to not worry about maintenance on the property unless you absolutely have to. At Specialized Property Management Dallas, we know that overlooked maintenance can lead to high tenant turnover. When you don’t respond to maintenance calls from your tenant, they’ll be much less likely to renew their lease. Overlooking maintenance can cost you your tenants, and your tenants are your main source of income. So just don’t do it. The Cost of Neglecting Property Inspections. Without routine property inspections, the value of your rental property can go down. Nobody wants to live next to your house if it’s overrun by weeds and looks uncared for. Property inspections help you catch safety and security issues, make you aware of future maintenance problems, and are a great time to perform upkeep on your rental home. Other Dallas rental management companies may not schedule regular property inspections, but at Specialized Property Management Dallas we know it’s a must to keep the value of your home high. The Cost of An Inefficient Tenant Screening Process. An inexperienced rental property owner may forego proper tenant screening, resulting in unreliable tenants who don’t pay rent when they’re supposed to. 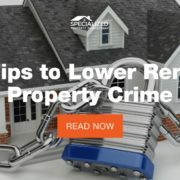 You should have a proven process that checks background, credit history, and rental history to weed out irresponsible tenants who will cost you in hassle, money, and time. There’s no reason to do everything yourself. 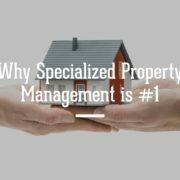 At Specialized Property Management Dallas, we’re different than all the other Dallas rental management companies out there. Our goal is to save DIY landlords time and money while providing excellent customer service and care to their rental properties. We have an in-house legal team to keep you out of the courtroom, licensed professionals to perform maintenance, we conduct quarterly property inspections, and we have an excellent tenant screening process. Give us a call today!